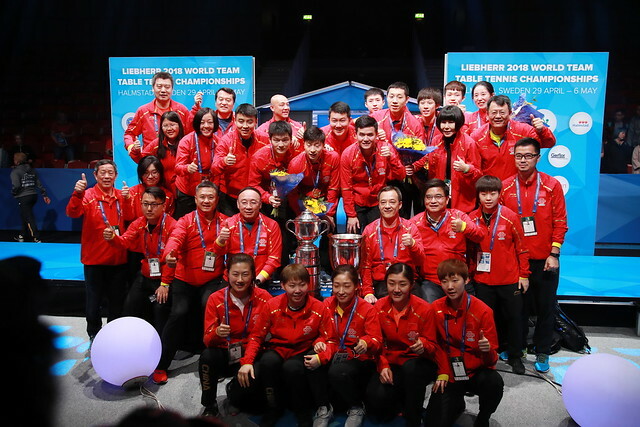 Aerobic Table Tennis will be present at the forthcoming Liebherr 2018 World Team Championships in Halmstad, Sweden. Daily sessions will be organised throughout at the Stora Torg square from Sunday 29th April to Saturday 5th May, the penultimate day of the tournament. Created by England’s Steve Rowe in Wigan, a suburb of Greater Manchester, the aim is to deliver Aerobic Table Tennis to hundreds of children and like-minded people over a two week period. Steve has been communicating with organisers Thomas Buza (Marketing & Communication) and Carina Jakobsson (Project Manager) over the last few months, planning all the sessions. The sessions will be organised in liaison with Ping Pong Power. Organised in liaison with members of the Organising Committee, notably Thomas Buza (Marketing & Communication) and Carina Jakobsson (Project Manager), Steve Rowe will arrive one week before competition begins, he will be assisted by the event mascot, Halmoo. Everyone is welcome to attend the sessions in the square, no matter age or fitness level. Aerobic Table Tennis being a fun and exciting way to introduce newcomers to table tennis. 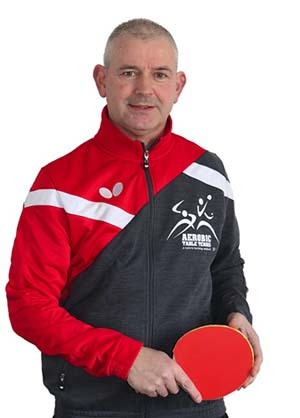 Additionally, Steve Rowe will be available to speak with national associations on how they can use Aerobic Table Tennis to help with grass roots development in their particular country.